On 24 November 2016 the European Court on Human Rights unanimously held that there has been a violation of Article 6 § 1 read in conjunction with Article 6 § 3 (d) of the Convention regarding Spartak Manucharyan v. Armenia case (Application no. 35688/11). The case was brought to the ECHR by the expert of “Center for Strategic Litigations” NGO Tatevik Matinyan and Edmon Marukyan. On 1 July 2009 criminal proceedings were instituted on account of the murder of K.S. who had been shot dead at 1.30 a.m. that day in the town of Alaverdi. The applicant presented himself to the police later that day, surrendered a gun and confessed to the murder. The applicant was charged the same day with murder and illegal possession of firearms. On the same date the police interviewed K.M., who was K.S.’s girlfriend and had been present at the scene of the murder. She stated that it had been the applicant, her neighbour, who, after yelling and swearing, had started to shoot at K.S.’s car moments after she had got out of it. On 3 July 2009 the applicant was questioned. He denied the charges and refused to testify. On 14 January 2010 the applicant’s brother, V.M., was killed. At an additional questioning on 9 March 2010, the applicant stated that he had confessed to the murder to cover up for his brother, who had a newborn baby and took care of their parents. The applicant stated that there was no longer any need to cover up for V.M. because he was dead. The Regional Court thereafter held at least three more hearings – on 7 September, and 21 and 22 October 2010, each time making decisions to order the absent witnesses, including K.M., to attend. According to certificates delivered by the police on 20 and 25 October 2010, K.M. was absent from her place of residence when the police visited. The certificate of 20 October 2010 stated that S.M. told the police that her daughter was abroad. The Regional Court eventually examined the applicant’s case in K.M.’s absence. On 4 November 2010 the Regional Court found the applicant guilty as charged and sentenced him to thirteen years’ imprisonment. The applicant is currently detained at Nubarashen Prison. European Court on Human Rights ruling the violation also stated that … the absence of good reasons for the non-attendance of a witness could not, of itself, be conclusive of the lack of fairness of a trial, although it remained a very important factor to be weighed in the balance when assessing the overall fairness, and one which might tip the balance in favour of finding a breach of Article 6 §§ 1 and 3 (d). Furthermore, given that its concern was to ascertain whether the proceedings as a whole were fair, the Court had not only to review the existence of sufficient counterbalancing factors in cases where the evidence of the absent witness was the sole or the decisive basis for the applicant’s conviction, but also in cases where it found it unclear whether the evidence in question was sole or decisive but nevertheless was satisfied that it carried significant weight and its admission might have handicapped the defence. The extent of the counterbalancing factors necessary in order for a trial to be considered fair depends on the weight of the evidence of the absent witness. The more important that evidence, the more weight the counterbalancing factors would have to carry in order for the proceedings as a whole to be considered fair (see Seton v. the United Kingdom, no. 55287/10, § 59, 31 March 2016). 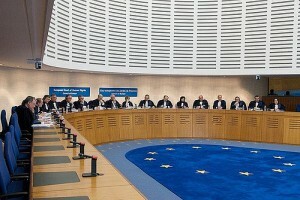 The court also held that the respondent State is to pay the applicant, within three months of the date on which the judgment becomes final in accordance with Article 44 § 2 of the Convention, EUR 2,400 as well as in addition, the Court considers it necessary to point out that a judgment in which it finds a violation of the Convention or its Protocols imposes on the respondent State a legal obligation not just to pay those concerned the sums awarded by way of just satisfaction, if any, but also to choose, subject to supervision by the Committee of Ministers, the general and/or, if appropriate, individual measures to be adopted in its domestic legal order to put an end to the violation found by the Court and make all feasible reparation for its consequences in such a way as to restore as far as possible the situation existing before the breach (see Scozzari and Giunta v. Italy [GC], nos. 39221/98 and 41963/98, § 249, ECHR 2000‑VIII; Ilaşcu and Others v. Moldova and Russia [GC], no. 48787/99, § 487, ECHR 2004‑VII; and Lungoci v. Romania, no. 62710/00, § 55, 26 January 2006). In the case of a violation of Article 6 of the Convention, the applicant should as far as possible be put in the position he would have been in had the requirements of that provision not been disregarded (see, mutatis mutandis, Sejdovic v. Italy [GC], no. 56581/00, § 127, ECHR 2006‑II, and Yanakiev v. Bulgaria, no. 40476/98, § 89, 10 August 2006). The Court notes in this connection that Articles 426.1 and 426.4 of the Code of Criminal Procedure allow the reopening of the domestic proceedings if the Court has found a violation of the Convention or its Protocols (see paragraphs 38 and 39 above). As the Court has already held on previous occasions, in cases such as the present one, the most appropriate form of redress would, as a rule, be to reopen the proceedings in due course and re-examine the case in keeping with all the requirements of a fair trial (seeGabrielyan v. Armenia, no. 8088/05, § 104, 10 April 2012).